The death toll from the earthquake been put at 8,844 by now, with 3,012 of them members of the Tamang community. Nepal’s earthquakes killed people belonging to all castes, class, ethnicities and religious groups. But it was the Tamang people who traditionally live in the 15 worst-affected districts who were disproportionately hit. The death toll from the 25 April earthquake and its 12 May aftershock has been put at 8,844 by now, with 3,012 of them members of the Tamang community. More than half the people killed were in Sindhupalchok district northeast of Kathmandu, which has a high concentration of Tamangs. 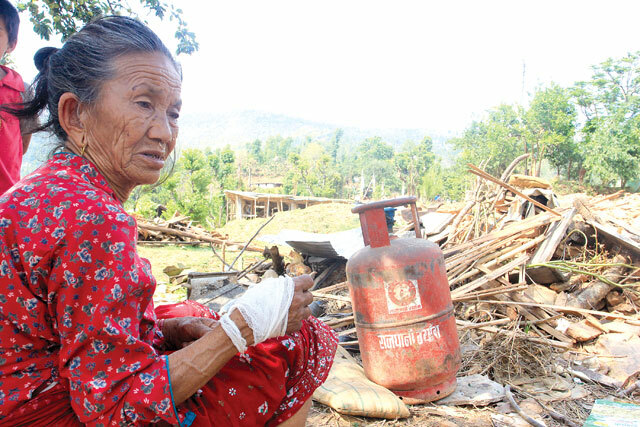 As many as 1,385 Tamangs died in Sindhupalchok. It may seem inappropriate to break down the victims by caste, ethnicity, gender, or religion but the fact that more than half the victims were women has gender implications. So does the fact that more than 50 per cent of the people killed were from marginalised communities ranked low in the Human Development Index (HDI). Analysing these statistics offer glimpse into which communities are most vulnerable to natural disasters, and how they should be protected while designing post-earthquake reconstruction projects. “In Tamang villages worst affected by the earthquakes, we should now implement integrated reconstruction programs with their active participation,” said economist Keshav Acharya. The most apparent reason behind why the earthquakes killed more Tamangs than people from other castes and ethnic communities is that they lived in Sindhupalchok, which bore the brunt of the shaking, and their stone and mud homes didn’t stand a chance. Sindhupalchok also got a double whammy: from both the 25 April and 12 May earthquakes. The Tamangs are the largest ethnic groups in eight of the 15 worst-affected districts. Even in the other six districts, the Tamang population is significantly high. Anthropologist Mukta Singh Lama says despite living in the vicinity of the capital the Tamang community which he belongs to have historically been as neglected as the people from Nepal’s most underserved Karnali zone in the HDI listing. It is the poverty, neglect and outright discrimination against Tamangs that makes them even more vulnerable to disasters like earthquakes, landslides and floods. The literacy rate in the Tamang community (62.6%) is lower than the national average (65.8%). Only 38.3 per cent of the Tamangs can reach nearest health facilities by walking for 30 minutes. In terms of access to safe drinking water, the Tamangs rank sixth from the bottom. 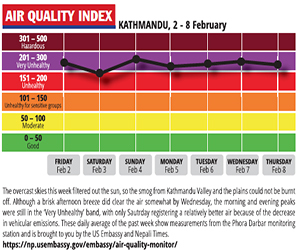 Almost all indicators show that the Tamangs have not benefitted from their geographical proximity to the capital Kathmandu. Kumar Blon, General Secretary of the Nepal Tamang Ghedung says most houses built by the Tamangs are on unstable slopes, exposed to rockfalls, and along river banks. Around 80 per cent of concrete houses in the Kathmandu Valley withstood the 7.8 magnitude earthquake in April and its 7.3 magnitude aftershock in May. But houses made of stone and clay-mortar by untrained masons in unsafe areas went down. Most Tamangs were living in such unsafe houses. According to the latest report by the Ministry of Home Affairs the earthquakes damaged 607,212 buildings (private, public houses, health posts and schools). Of them, 381,976 buildings were in areas dominated by Tamangs. The assumption that all village life is poverty, and candy is welcome relief for the downtrodden, is it not akin to the whole attitude behind foreign aid? The captains of Nepali sport have never learnt to play straight. Kathmandu valley is alive with the sounds of nibbling, tasting and downright chomping in at least 12 languages. Young Malika Rana wants to be a tennis star.